I'm one of those people who places a very high importance on the sharpness of a lens..... and this is regardless of what Cartier-Bresson might have said! "Sharpness is a bourgeois concept" my hind end! I understand what he was getting at and I'm fully aware of all the other important facets it takes to make a "good" photograph, but I like sharpness.... most of the time. So, in my search through the years, I've always looked for the sharpest lenses I could find/afford. With that being said, here's what I consider the sharpest Pentax lenses I own. These all rate at 9.10 or above. Now, bear in mind that I said these were the sharpest Pentax lenses I own.... not the sharpest lenses Pentax ever made. Also, I own some older, manual focus Vivitar Series 1 lenses that will hold their own against almost any other lenses ever made. Same with a couple of Sigma lenses in my arsenal, but I'm speaking strictly about Pentax lenses. I love mine. A great lens. 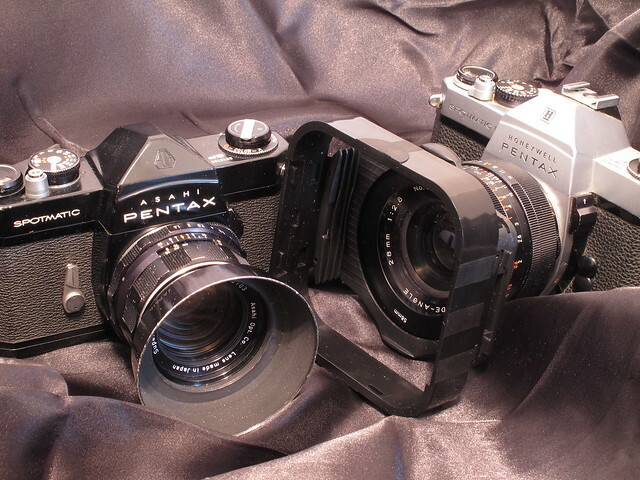 Decades ago when my first SLR broke (a Miranda Sensorex), I was loaned a Pentax Spotmatic with a 50mm f/1.4 lens. I eventually replaced my Sensorex with a Nikon but for years delayed buying a 50mm Nikon lens because I could not find one that was as sharp as the Pentax. I discovered that the lens I had been using was the 8-element version of the m42 Asahi 50mm f/1.4 Super Takumar and had a reputation for being one of the best 50mm f/1.4 lenses ever made. "upgrade" and sold all my M42 gear and bought a Pentax ME Super. I've always regretted selling the "old" 50! But, the digital world has opened up so many new, fantastic pieces of glass that I seldom look back. Last night, I had the occasion to use my Pentax DA 50mm f:1.8 and was once again WOOWED by it's amazing sharpness and especially it's vibrant color rendition. So many fine Pentax lenses and so little time left in life to use them all to their full potential!